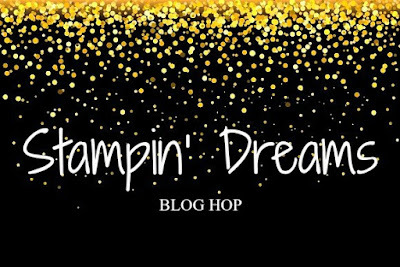 Welcome to the Stampin' Dreams Blog Hop for December, the last one for 2017! How fast has this year gone past! This month, we are showcasing our favourite Designer Series Paper & although there are a ton of really gorgeous ones in the new catalog, I thought I would share one I've been hoarding haha! So I absolutely love this black & white floret pattern from the Merry Little Christmas DSP. I heard along the grapevine that it's meant to be mistletoe but it doesn't really look Christmassy to me & you know I love a good floral pattern. 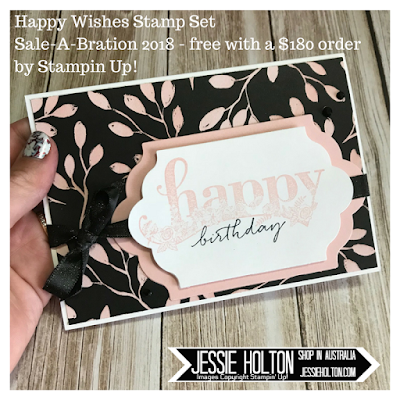 I took the opportunity to break out my Brayer & cover this in Powder Pink ink. I have used the two largest Lots of Layers Framelits to die cut the labels on my Big Shot, a bow of Shimmery Black Ribbon & a few Black Rhinestones to finish it off with some subtle bling. 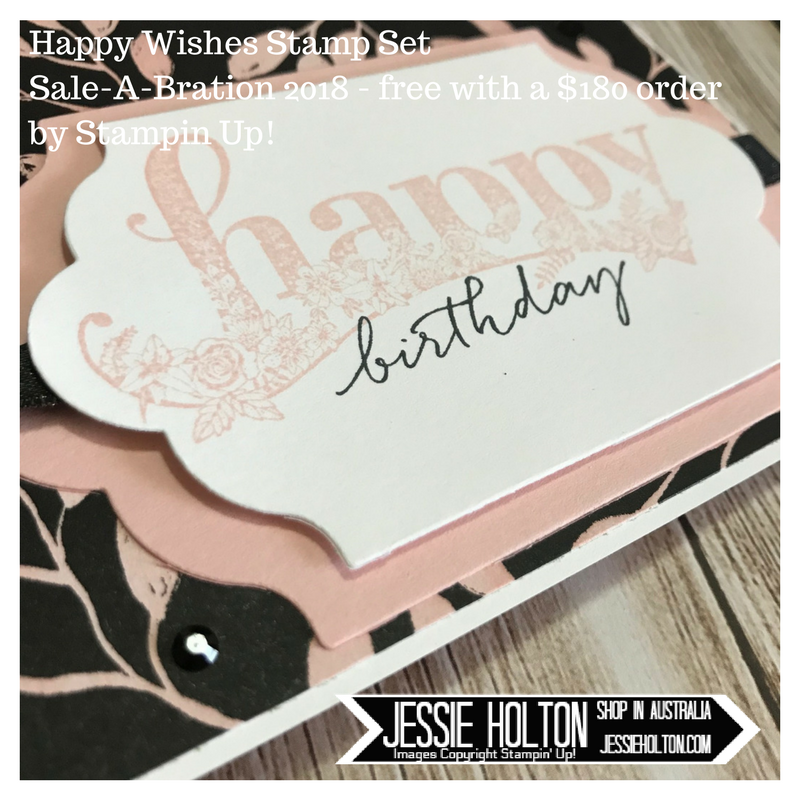 The sentiments are from one of the Sale-A-Bration catalog, called Happy Wishes. 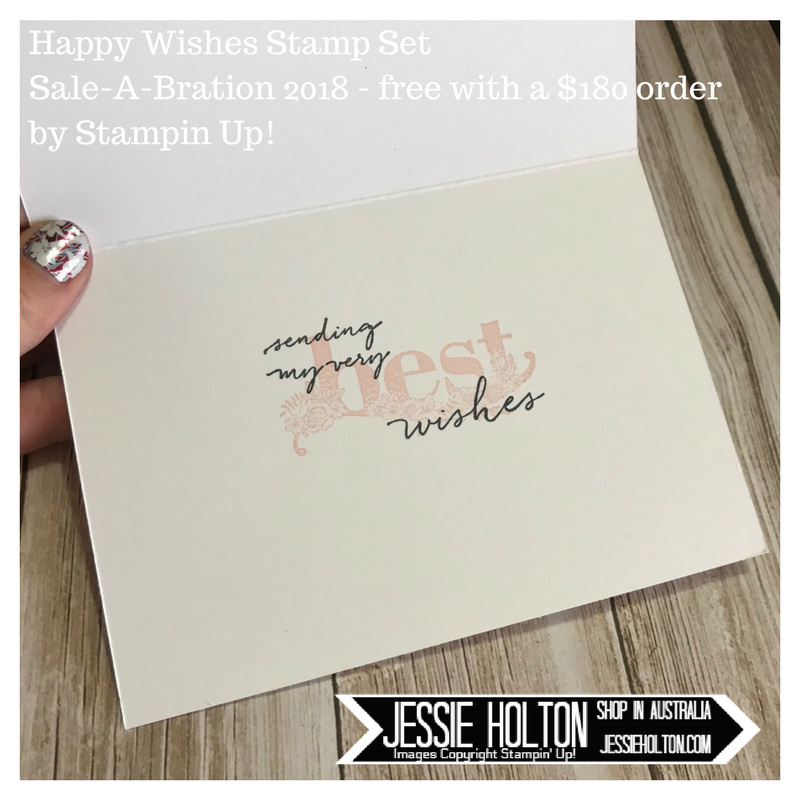 You can get this stamp set for free with a $180 order. There are two tiers of freebies in this year's SAB catalog, Level 1 $90 & Level 2 $180. This stamp set comes with two boxes of stamps, so it is a Level 2 SAB item. 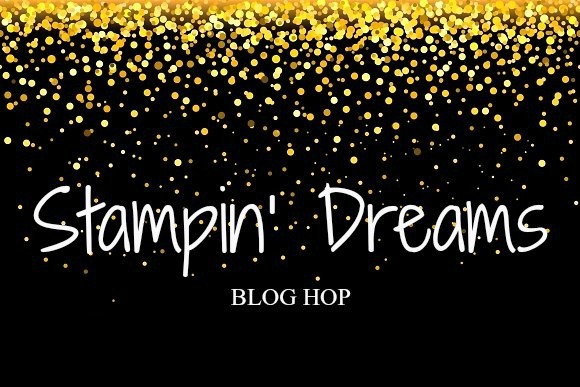 I hope you have enjoyed my card & that you can hop around the rest of the crew & see all the lovely projects we've made using our fave DSPs this month! And here are the products I have used in this card. 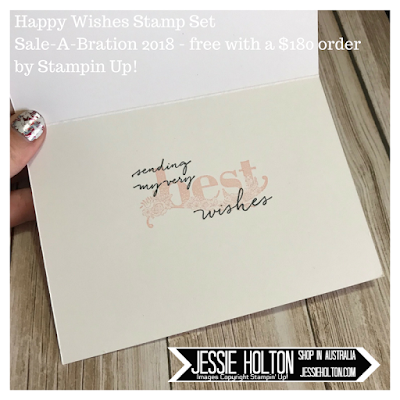 Click the image to go to my online shop & remember to use my Hostess Code at the bottom of your cart to get spoiled by me!